Fully taught in English, the executive MBA programme begins with a solid revision of general management knowledge, from which, you will further specialise by selecting your own electives that touch upon current topics in business administration. Throughout the program, you will gain broad, globally-oriented business knowledge, attend classes at a convenient part-time schedule and immerse in the international business culture assisted by world's top academics. An executive education programme at RSM grealty enriches the traditional learning experience in a university setting. Since all candidates enrolled in this Executive MBA programme bring a wealth of experience into the courses, teaching is designed to maximise knowledge sharing, encourage dialogue and develop a globally-relevant business know-how. Executivespeakers from major global corporations hold guest lectures during each program module. Teaching methods are practice-oriented and include workshops, case studies, simulations, real-life projects, and team and independent work. You also have the opportunity for confidential, one-on-one discussions with an experienced coach throughout the programme as part of the Personal Leadership Development module. At Rotterdam School of Management - Erasmus University, all faculty, staff and candidates strive for excellence in all we offer to our Executive MBA Programme participants. The international experience you will gain will truly add value to your exciting future. 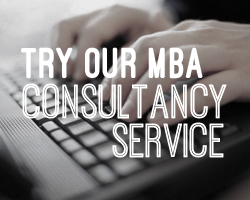 Join the top leaders from the international business community in this Executive MBA at RSM. Start your application today! For more information about Executive MBA, please submit an information request below and the school will contact you with further information. Professional achievements and goals: A minimum of four years of post graduate work experience is required. This experience should demonstrate clear evidence of solid career progression. Academic excellence: A university degree or equivalent*. English proficiency: A strong command of the English language. Leadership abilities: Experience managing people or projects. Appreciation of diversity: Ability to communicate effectively across cultures. Value for points of view that are different from your own. Team Skills: Interested in sharing career experiences within small team sessions or in larger classroom settings. Communication Skills: Essays and an interview will be used to assess your ability to effectively convey your thoughts and ideas. RSM has a rolling admission process. The academic committee evaluates received applications and issues the admission decisions throughout the year. Request a CV assessment from RSM to verify your eligibility for admission directly here! On completion of your business studies you will have built and honed your team building and leadership skills, as well as developed analytical and critical thinking - apects which are at the forefront of your expectations. The exceptional quality of our well-educated, motivated and driven candidates continually creates an impressive worldwide alumni network as well as contributing to our success on the world stage of business schools. Successful candidates who complete all programme requirements will receive an Executive Master of Business Administration degree from the Rotterdam School of Management Erasmus University. The RSM Executive MBA programme was designed to minimise your time away from the office and allow you to fit your studies into a full-time working week. Most courses are held every second week on Fridays from 18.30 to 21.30 hours and Saturdays from 09.30 to 16.30 hours. A number of class sessions will take place on Friday afternoons from 14.30 to 17.30 hours. The program includes an In-Company Project, two week-long international study trips, two full-time weeks on campus at the beginning of each calendar year and one extended weekend residency during the second year of the programme. The program begins with a consolidation of your basic business skills through courses that are moderately theoretical and bring you back into a learning mode as well as underpinning the development of your analytical skills. Once the basic skills have been refreshed, the programme continues with a more in-depth investigation of the functional areas of business using the theories learned in the investigation of the practice of management. Find out more about the programme structure and curriculum by sending your enquiry to RSM directly here! The cost of tuition for the Executive MBA programme at RSM is €46,500, payable in three instalments of €15,500 each at the beginning of the term. Find out more about tuition fees and funding options by contacting RSM directly here!